The Moerdijk plant contains a successful cogeneration scheme. Moerdijk (in North Brabant) is the site of a major Shell petrochemical plant in the southern part of the Netherlands. Moerdijk (in North Brabant) is the site of a major Shell petrochemical plant in the southern part of the Netherlands. It is one of the largest chemical complexes in the Netherlands and is spread over 500ha. 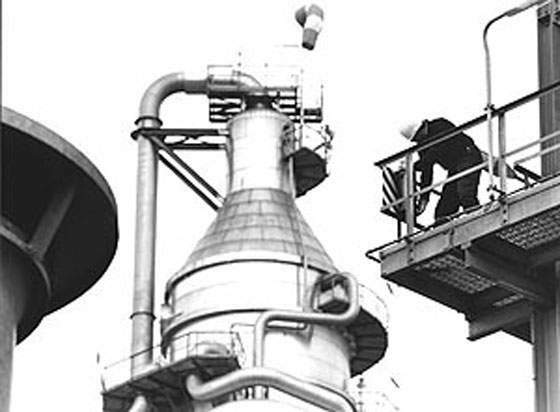 The first plant at the site was constructed in 1970. The site houses several plants but the ethylene plant is the primary one and uses naphtha as the feedstock to produce ethylene, propylene and butadiene. It also produces several by-products, such as raw gasoline and LPG. In February 2010, Shell announced force majeure on styrene, ethylene and propylene. The force majeure was declared due to mechanical problems in the plant. Shell carried out repair works on the plant but the duration of the force majeure is unclear. 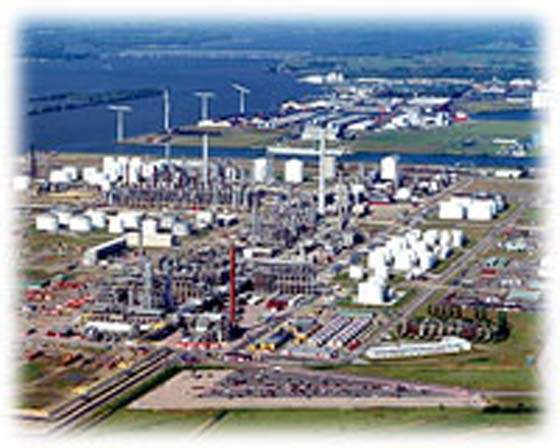 Shell Nederland Chemie BV decided to expand its existing plant at Moerdijk in the Netherlands in 1998. The project was completed in Summer 2000. The ethylene cracker had its capacity increased from 650,000t/yr to 900,000t/yr. The cost was €136m. 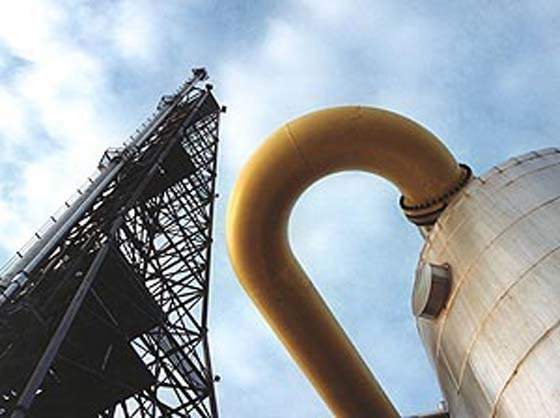 The intention was to improve the efficiency of the plant in order to improve Shell’s competitiveness in the ethylene and propylene derivatives market. The plant’s ethylene cracker expansion uses Stone & Webster’s proprietary Advanced Recovery System technology. In 1999, MDC Technology of the UK was ordered to install five real-time process information systems in Pernis and Moerdijk. The total contract was worth $1.3m. The systems were installed to integrate data from the existing TDC3000 systems. The Moerdijk plant contains a successful cogeneration scheme. This is an important part of many plants in the Netherlands, which now generates about 35% of its electricity needs from such schemes. The cogeneration plant is essentially an enormous waste-incineration plant capable of burning 600,000t/yr to produce two million tonnes per year of high-pressure steam for the complex. Siemens supplied the power plant with a rated output of about 339MW. Shell and BASF built a factory in Moerdijk as part of a 50/50 joint venture. It has capacities of 565,000t/yr styrene monomer (SM) and 250,000t/yr propylene oxide (PO), and took a record two years to build. The joint venture responsible is called Basell and was responsible for both the Moerdijk plant and another $500 million SM/PO facility in Singapore. This was next to a third SM/PO plant that is wholly owned by Shell (having bought out Mitsubishi’s minority share in September 1999). The site also has an existing Shell polystyrene facility built in the 1970s. The older SM/PO facility has a nameplate capacity of 440,000t/yr of styrene and 220,000t/yr of propylene oxide. By siting the plants next to each other, Shell hopes to realise synergies. The plant cost about $500m. It uses Shell’s proprietary peroxidation technology, which the company regards as cutting edge. Although the plant had some running problems, the company claimed to have met production targets. This was despite struggling to reach full capacity because of unscheduled stoppages. The propylene oxide is likely to be used for the Moerdijk production of polyether polyols by Shell. Styrene is a starting material for plastics. Most common products are polystyrene and styrene copolymers, such as acrylonitrile-butadiene-styrene (ABS), styrene acrylonitrile (SAN) and acrylonitrile-styrene acrylic ester (ASA). Important end-user industries for these products are the packaging business, the electronics and electrical industries, automotive construction and the building sector. Propylene oxide (PO) is one of the most important links in the value-added chain, with polyurethane at the top. These versatile plastics are used, for instance, in the automotive industry, in the construction sector, for shoe soles, sports equipment and upholstered furniture. Shell is one of the biggest oil & gas giants in the world, with significant additional petrochemical operations. As with many oil companies, Shell has been concerned with achieving economies in its operations. However, these efforts have particularly focused on the chemical arm. It took a $4.5bn exceptional charge in the last quarter of 1998 in order to restructure. This involved cutting about 1,000 jobs at Shell’s chemical sites at Moerdijk, Pernis and Breda. The Amsterdam research centre was also affected. The company sold the remainder of the propylene oxide, as well as its entire share of the Moerdijk plant’s styrene output, since it no longer made polystyrene in Europe. The company sold its European polystyrene business to Nova for $185m, plus $30m in working capital. The divestment was completed in the last quarter of 2000.